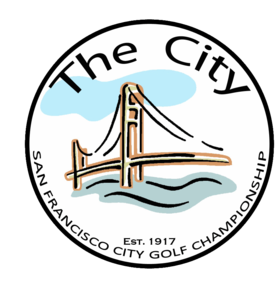 In addition to awarding points, the NCGA has generously offered to provide rules support to the 2019 San Francisco City Golf Championship. NOTE: Ties for qualifying spots will be broken by sudden death playoff. Ties for seeding shall be broken by the USGA method of matching scorecards. All tournament and qualifying rounds will begin at 7:30am unless otherwise noted. Tee times and pairings will be posted at TPC Harding Park and the tournament website at www.sfgolfchampionship.com. 1. Entries shall be available for Exempt Men players on November 1, 2018, and for all others on December 1, 2018. The deadline for entry applications is January 15, 2019. 3. There will be no entry fee refunds after January 15, 2019. 2. Contestants wanting to use a golf cart will be charged the appropriate fees posted at each golf course. 3. Golf carts will be subject to course conditions at the time of play, i.e., cart path only, 90 degree rule, etc.